Ranger Design mobile service van shelving systems are designed to help you work better, and save money. It’s a fact – a well-organized van will save you time, prevent injury and increase your payload. 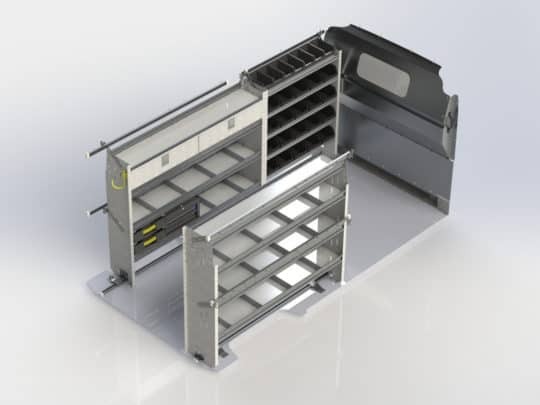 Our mobile service van shelving and storage bin packages are designed with ergonomics in mind to ensure greater efficiency. 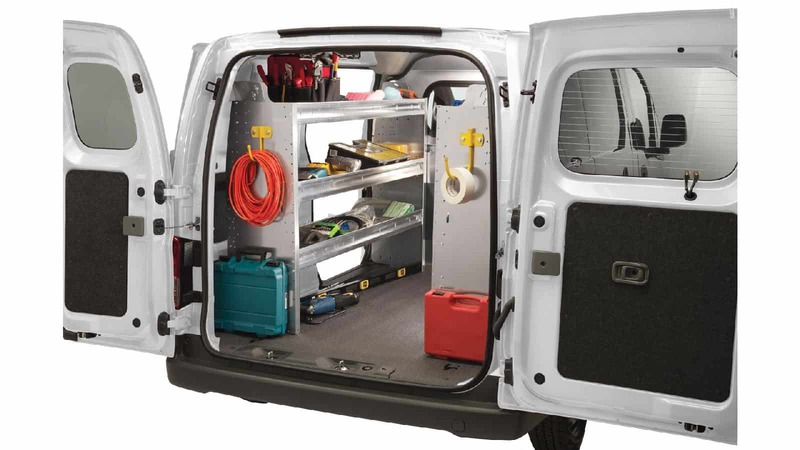 Available in multiple configurations; and with two sizes of removable storage bins and Partskeeper units, these packages make the most of your mobile service van storage space. Mobile service van shelving and storage bin packages are engineered to save weight, while still being tradesman proven tough enough to stand up to everyday wear and tear. Combination Ladder Rack’s flexible design can allow you to carry both a step and extension ladder. To make it easier, we’ve created mobile service specific packages for each vehicle to ensure your cargo van is in service as quick as possible. Choose from a wide range of mobile service van shelving to tailor your service vehicle to your specific needs. Ranger Design also has service truck tool drawers to keep your tools well organized and safely stowed while in transit.